After living in the brash new town of Johannesburg for only three years (in Noord Street), Lionel and Florence Phillips had had enough of the ceaseless dust and noise of the town. Lionel had recently been elected President of the Chamber of Mines and this would mean entertaining the great and glamorous of the day: a new home was essential. 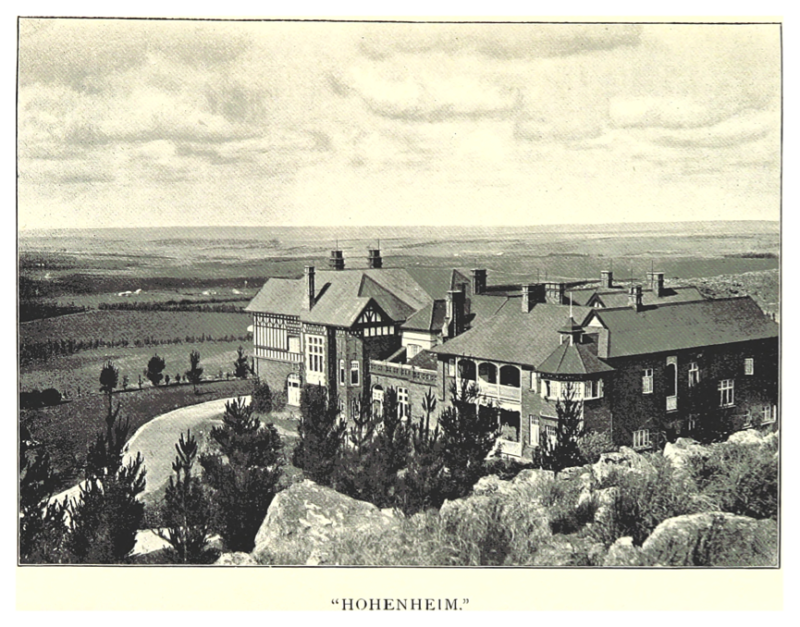 On one of her frequent horse-back rides to the ridge to the north of the town, she found in a “wild and solitary” place the site for this her new home – to be named, as her house in Noord Street had been – “Hohenheim”, or “Home on High”: much more appropriate here on what was to become known as Parktown Ridge, on the site of the present Johannesburg Hospital.